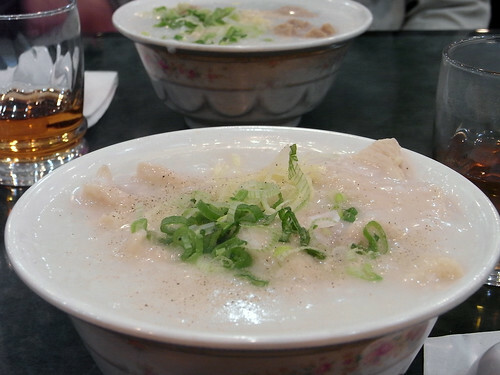 With some sickness going around the office, we opted for a good warming bowl of congee at our convenient go-to spot. Man, this place was packed today both with tourists and locals! The guys behind us opened up a bottle of some lethal smelling Chinese liquor starting on their weekend festivities. Yes it's Friday. i love congee! whats the price? $4 for the meat ones.